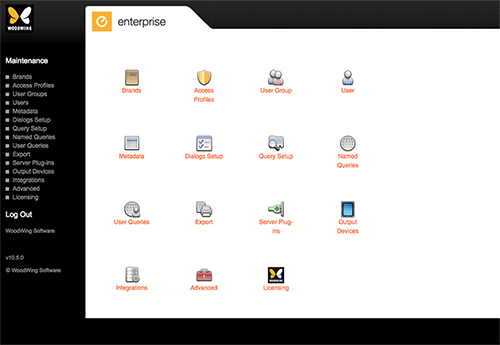 Managing Enterprise Server 10 and its integrated 3rd-party applications is done through the Maintenance pages of Enterprise Server. Dialogs Setup. For specifying where and when the metadata properties should be displayed. Query Setup. (Requires Enterprise Server 10.5.0 or higher, in earlier versions this is controlled via the Dialogs Setup page, see above). For controlling the available columns for the List View in client applications and for customizing the Add Criteria list of a Custom Search in Smart Connection and Content Station..
OpenCalais. (Only available when the Server plug-in "OpenCalais Suggestion Provider" is enabled.) For configuring the OpenCalais API key, needed for communicating with the OpenCalais service. Twitter. (Only available when the Server plug-in "Twitter Publishing Connector" is installed.) For importing Publish Form templates and for registering an Issue with a Twitter app. Facebook. (Only available when the Server plug-in "Facebook - Publish Forms" is enabled.) For importing Publish Form templates and for registering a Publication Channel with a Facebook app. WordPress. (Only available when the Server plug-in "WordPress Publishing Connector" is enabled.) For importing Publish Form templates, WordPress users, WordPress tags, WordPress categories, and for linking tags to a Suggestion Provider. Clear Zend OPcache. For manually clearing the cache of Zend OPcache. 5 September 2018: Added Query Setup.